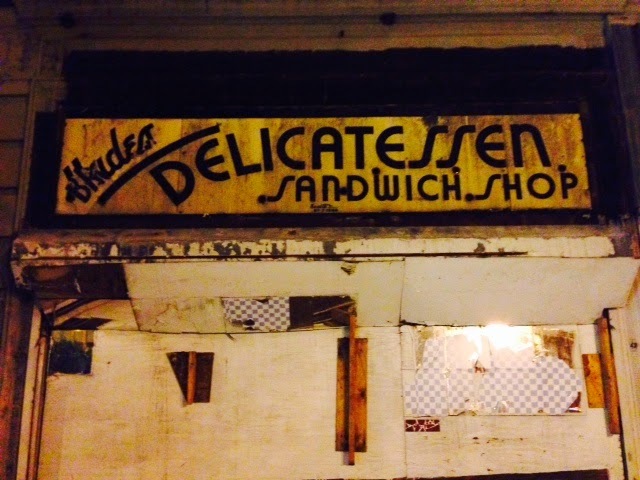 A reader sent to me this photo of a lovely old Delicatessen sign that was uncovered during construction on a storefront at Broadway and 103rd. Can't make out the first word—that is, the name of the place. Lovely font on the sign. I have to say, Giambelli's must have been some place. 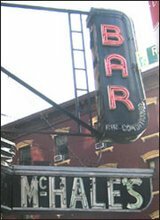 I wrote about it's closing, after 50 years on E. 50th Street, five years ago. And the comments and memories keep flowing in. Makes me hurt inside that I never went there. 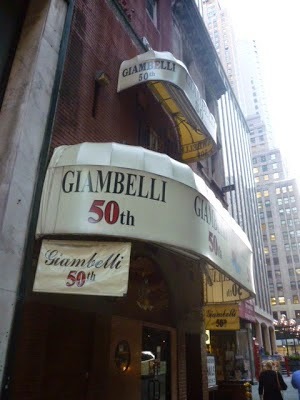 ...We used to dine at Giambelli regularly in the mid 1970s. One evening we arrived to find the restaurant gutted for renovation. As we turned to leave a diminutive, but immaculate gentleman on the sidewalk introduced himself. 'I am Francesco Giambell...please!' and indicated a stretch Cadillac, sat beside the driver and took us to Mercurios. He asked my name, led us into the restaurant clapping his hands announcing 'Champagne for Senor Peniche and his party,' saw that we were well seated and returned to Giambelli for more customers. I have thereafter been called 'Peniche' by my friends although the name only vaguely resembles my own. 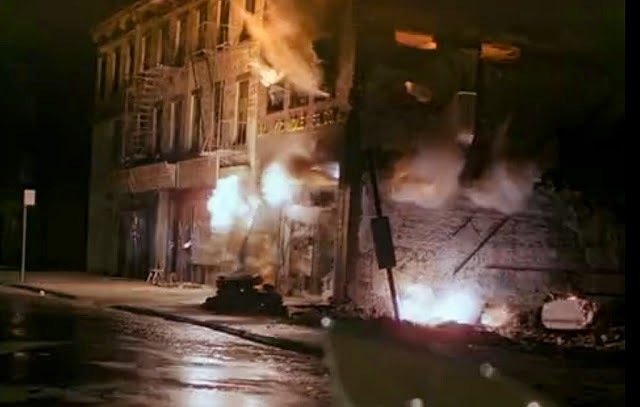 A couple years ago, I posted an item about how the television series "Miami Vice," in 1985, was allowed to blow up up an old business on Columbia Street called the Valley Candle Company. I didn't know much about the company when I wrote that post. Since then, however, I've been contacted by a descendent of the company's founder. That was Saverio DellaValle, pictured below. 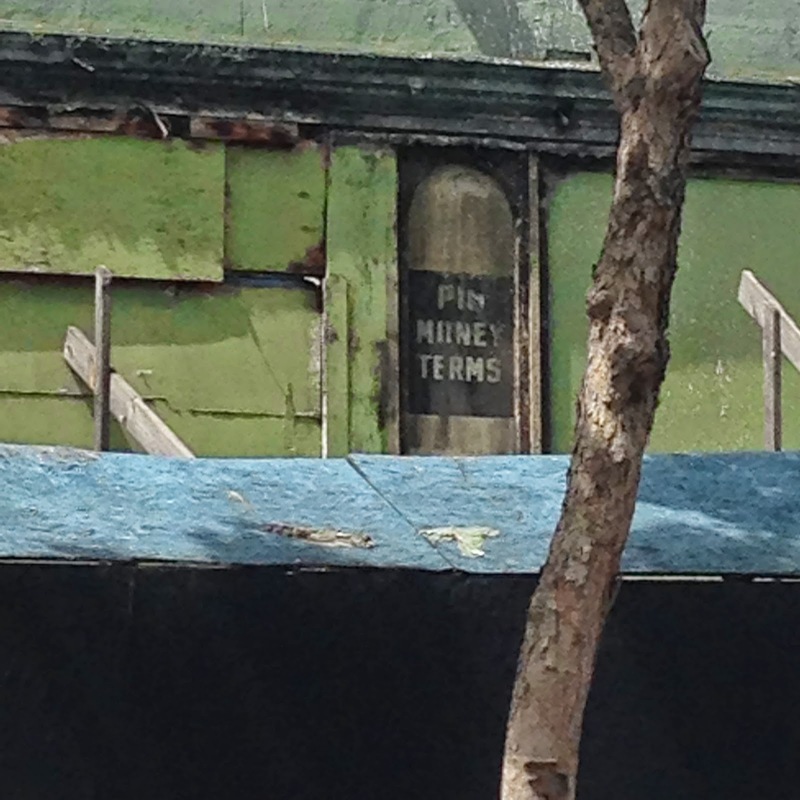 (Hence, the name of the business.) Saverio came to Brooklyn from Naples in 1905. He made religious candles and delivered them to the churches in NYC. An open-minded businessman, he also made candles for the religious Jewish holidays. There were family stories that, while he was making candles, Saverio ran a still running in the factory during Prohibition. There's an enterprising gent! The family sold the business in the '70s. 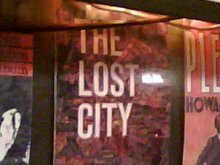 Looks like I have some globe-trotting readers. A native of Edinburgh, who was recently traveling in San Francisco, snapped this shot from a taxi on mid-Market Street. "The building was having a complete renovation, and this was briefly exposed in the process," wrote the reader. "I’m assuming that it was formerly a pawn broker."